From the pages of the official PlayStation Blog, Rockstar Games reveals the contents of Red Dead Redemption 2 that will be offered exclusively on PlayStation 4. 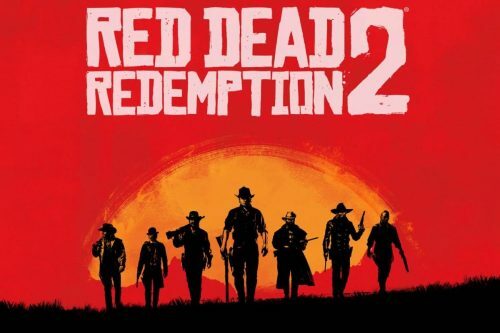 The terms of the agreement signed in 2016 by Sony and Take-Two Interactive provide the exclusivity of 30 days on all the updates that will cover the multiplayer component of RDR2: it is not surprising, therefore, if most of the first digital objects that will be made available to those who will explore on PS4 the Frontier of the new masterpiece announced of the great R will have to do with Red Dead Online and that, to access them, you will need to own a subscription to PlayStation Plus. All the items on the list, therefore, will also arrive on Xbox One with a free update scheduled for November 25, exactly one month after the release of the update on PS4 that will accompany the launch of the new adventure of Arthur Morgan. Practical but at the same time robust, the Outlaws dress by Grizzlies is perfect for exploring the forests of the Ambarino. The outfit consists of a long coat with a wool lining and hand-stitched leather trims, a leather vest with embroidered lining, a pointed collar with a black neckline and matching buckles with matching boots. The Outlaw Outfit by the Grizzlies pays homage to the “boss” of the Northern States, to whom it is inspired. Famous for its speed and maneuverability, the Arabian red horse is head and shoulders above the wild horses that can be found around, its performance is superior to those of other first class horses available. In addition to being beautiful, when equipped the Ranch Cutter Alligator saddle provides some benefits including the strengthening of the Health and Resistance Cores, which increase the speed and acceleration of the horse. This saddle is an improved version of the basic saddle that is provided to players at the beginning of Red Dead Online. Beautiful to die for: the double action Revolver Azzardo features a polished steel body with unique engravings inspired by the historical period and beautifully detailed. This quick and deadly revolver shows engraved playing cards and skulls on the handle. Its fast firing rate is higher than that of all other revolvers and makes it a great choice for horse fights. The launch of Red Dead Redemption 2 is scheduled for October 26 on PlayStation 4 and Xbox One. The multiplayer component of RDR2 that will run parallel to the story of Arthur Morgan and the band of Van der Linde, Red Dead Online, will enter Beta in November and will be accessible to all those who buy the blockbuster Western of Rockstar Games.